Attention to detailed grazing and forage conservation management is helping the Mason family’s 10,300 litre organic herd in Herefordshire to take 40 per cent of total milk from forage. Farmers Guardian reports. Ben Mason with his sister Lucy and herdsman Ellis Lee. Challenged to further reduce costs, Bob and Sue Mason, who farm in partnership with their son, Ben, and daughter, Lucy, at Little Birch near Hereford, are confidently planning to step up to 5,000 litres from forage while continuing to maintain yield, herd health and fertility. 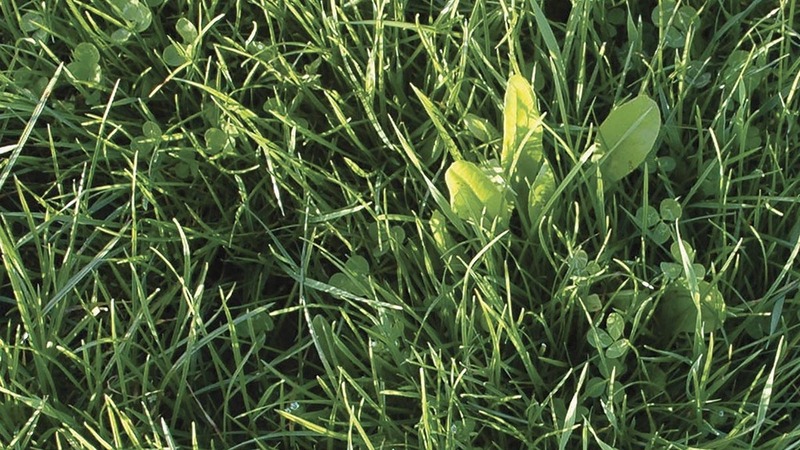 Grazed forage crops such as chicory and turnips, together with higher quality silage will help them to achieve their goal by filling the feed budget when quality seasonal grazing shortages arise due to the farm’s low summer rainfall. Ben says: “Our objective is to run a profitable unit by maximising yield per cow from forage within the constraints of an organic system that features expensive concentrate, in particular soya – a taboo ingredient to the certification bodies. Furthermore, the Soil Association and Organic Farmers and Growers require certified dairy herds to be fed a 60 per cent DM forage diet. The grazing platform surrounding the steading is split in to 0.8ha and 2ha paddocks and the Masons budget on a weekly basis between 14kg and 16kg DM per 24 hours per cow, going in to a target cover of 2,500kg DM/ha and leaving a residual of 1,500kg to 1,600kg DM/ha. In the last two years the unit’s consultant, Advanced Nutrition’s Rob Watkins, has helped to develop the system which has included going from two, 12-hour breaks to offering 0.75 of the day break and then 0.25 of that break and a single break at night, thereby stimulating increased intake and better residual management. He says: “Dry matter availability changes by the day, consequently Ben is continually walking the paddocks and monitoring rate of grass growth by eye and plate metre which he uses to weekly calculate the grazing area required along with the residuals – ensuring the plant is at the correct 2 to 3 leaf growth stage securing maximum quality. It is all about getting every cow to eat an extra 1kg DM per day. Once the grazing starts to exceed 3,000kg DM/ha it is taken out of the rotation for conservation. The Masons operate a five-year rotation of hybrid rye-grass leys with white clover making up 20 per cent of the sward. Forage intakes and summer dry matter deficits have been boosted by introducing to the rotation chicory and turnips which Ben says are demonstrating to be useful break crops within the summer rotation providing up to 11.5ME, 23 per cent CP and 6kg DM per cow per day. He says: “The unit comprises sandy loam which can dry our quickly consequently these root crops have proved to be a good insurance policy from July through to October. The Masons agreed for the unit to go in to organic conversion in 2000. “Dad noticed the cows found grass that had not had a fertiliser application to be a lot more appetising and a decision was made there and then. In fact, I would not know how to farm conventionally,” explains Ben, who joined the family business after college 15 years ago. “We take a very active preventative approach to herd health and management,” he says. The herd currently records 10 per cent lameness, 8 per cent mastitis incidence, no displaced abomasums, 1 per cent metritis, 1 per cent retained fetal membranes, and no milk fevers. “We are calving at an average 24 months, cows are going on to milk for an average five lactations and their fertility is reflected in the herd’s 390-day average calving index with a 58 per cent conception rate to first service. The Mason’s focused forage regime is not just for organic producers; there are parts of a well-run organic unit that can be introduced to every unit, says Mr Watkins. “As an industry, we have yet to capture the full opportunity of high yields from grazed grass and their impact on the bottom line. For example, the difference between M+16 litres and M+13 litres from grazed grass is worth £140 per cow per grazing season, at 27ppl milk price. “The average 8,000-litre herd is currently achieving just 18 per cent from forage (Kingshay), when in fact 30 per cent to 35 per cent is an appropriate and achievable target. 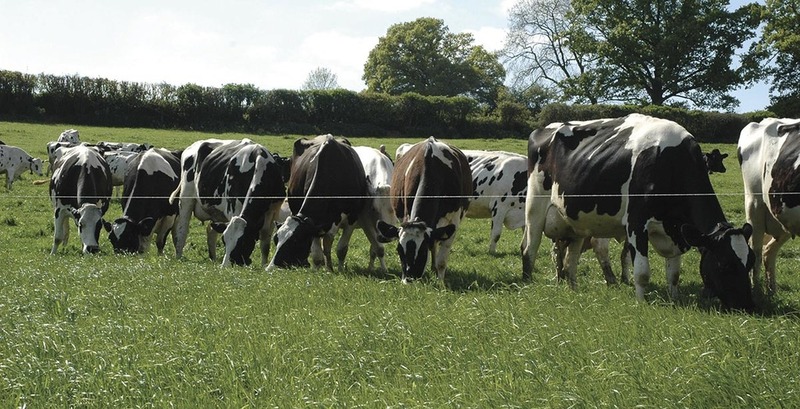 “We would always aim to increase producers’ profit, so would never chase an arbitrary milk from forage target; however, we are aware that it is all about better grass utilisation and increasing forage quality along with better attention to TMR detail. Admittedly, managing grass and forage does require different focus than a winter housing regime simply because of the varying influencing factors. However, it can be achieved and the financial rewards are significant,” he says.